In Clash of Clans, spells are extremely valuable to win attacks so you need to know the best moment to use each spell. In this article today, I’m going to be reviewing the best way and time to use each spell in Clash of Clans! 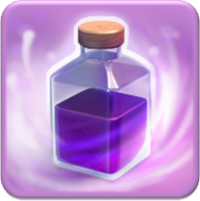 Lets start with elixir spells and head into dark elixir spells. 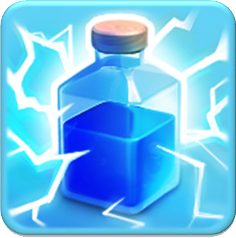 Lightning Spell- The lightning spell is the original, very first Clash of Clans spell and is used for taking out buildings. Since you can no longer lightning spell storages, the best use for lightning spells is taking out defenses. Only in two instances should the lightning be used, when using barch and when using air attacks. In barch, you want to use the lightning spell to eliminate two mortars, while in air attacks, use it to take out air defense. 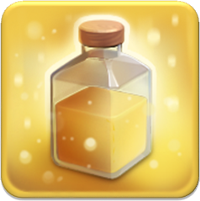 Healing Spell- Ideally, in a heal spell you want to heal as many small units as possible so that they don’t die. The best strategy to bring the heal spell with is definitely giants. A single heal spell can keep giants up and alive while they destroy defenses. At lower levels, use heal spells with barch to keep your units charging in. 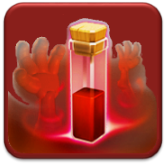 Rage Spell- The rage spell is one of the best spells in Clash of Clans and needs to be used as such. The rage spell works with almost any strategy; I mean who couldn’t use a speed and damage increase? The best time to use the rage spell is when there are a ton of units all together, and you have a good idea as to where they will be heading next. Ideally, you want to place the rage spell when your troops are in the middle of the base in order for them to rip through the middle. Jump Spell- The jump spell is great with mass bowlers, valks, and GoWiPe. Earthquake spell is usually the better option, since it opens a bigger radius, but if you use jump well, it can cut it to half the cost. Make sure to place the jump spell so that as many compartments as possible are opened. Also, make sure it leads to where your troops want to go, not to random parts. 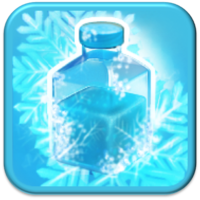 Freeze Spell- Now that you can use freeze at Town Hall 9, there is a whole new field of possibilities. The freeze spell works well with hogs if you are attacking a Town Hall 10, but at Town Hall 10 and 11 there are more options for almost every strategy. The freeze should be used to freeze inferno towers and xbows, the main damage dealers in a base. Also, try to freeze clan castle troops if you didn’t lure them out beforehand. Clone Spell- The clone spell is honestly pretty bad, especially for taking up 4 housing space. However, if you do want to use it, make sure to place it at the outside of the base, where you are placing troops, in order to get the best and most troops out of the spell as possible. Anything you place through the spell will be duplicated. 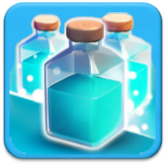 Poison Spell- The poison spell is one of the best spells in the game and for one reason only: it kills clan castle troops. The poison spell can be used by either luring out troops to the corner of the base you are attacking, or by being dropped in the middle of the base when your raid is in full swing. I would recommend luring troops since it is a lot easier to keep them in one place and to ensure that they are killed properly. Earthquake Spell- The earthquake spell has almost definitely come to replace the jump spell since its release. The best way to use the earthquake spell is to bring either 4 or 8, depending on how many sections of walls you want to open. It takes 4 earthquake spells to destroy a wall. Make sure to open as many compartments as you can with each series of spells; you don’t want to miss one compartment by just a few inches. 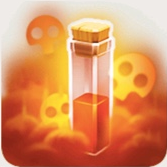 Haste Spell- This is one of the most underrated spells in Clash of Clans right now. The best way to use the haste spell is with precision balloonion. If you drop a haste spell on each group of balloons, they are almost ensured to take out that defense because the haste spell makes up for what they lack: speed. Skeleton Spell- Last but not least, we finally get to the latest spell, along with the clone spell to be added in a Clash of Clans update. The skeleton spell has a few good uses. Number 1: distraction. Use the skeleton spell to distract defenses while you head in with your main army. Number 2: 50%. Use the spell to get the last couple percent if you are missing out on the 50% one star. That is all of the spells in Clash of Clans right now, but we should see more soon, maybe in the September update! Thanks for reading and I will see you guys soon with more Clash of Clans and Clash Royale content. ← Clash Royale September 2016 Update Leaked! Also you forgot to mention the double lightning-quake against air defenses. At town hall 9 that’s two air defenses down without even dropping a troop. You should mention it in the earthquake section too. Clone spells I heard are the banes of all troll bases, because as you place the troops in the middle they are all in one spot being duplicated. Some people bring lightning on barch attacks just to take out extra buildings so the can get the 50%, but if they take out the mortars they would get much higher than 50 percent. However, if you bring heal spells, at town hall 8 you can get 2 stars easily, and at town hall 7 I once had a 9 3 stars spree with barch – heal, plus a few wallbreakers each raid. 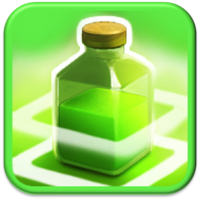 Pingback: Clash of Clans: How to Use Spells | Clash of Clans Guide, Strategies, Tricks and More!